If you’ve been diagnosed with bi-polar disorder, or suspect that you might have it, you understand the unpredictable mood swings, the rapid cycling of emotions, the difficulty focusing, and the impulsive behavior you can’t always control. You know the pain of damaged relationships, work or school challenges, and the feeling that you can never quite relax or feel comfortable. Neurofeedback training helps strengthen and support the brain to more easily maintain a stable state. By exercising your brain in a certain way, your brain learns to better regulate itself. Better regulation means better emotional control, healthier reactions and more balance with less effort. Clients we’ve seen at Center for Brain who’ve been diagnosed with bi-polar disorder frequently report less susceptibility to mood swings, increased ability to focus, decreased anger and the feeling that they can trust themselves to respond appropriately again. One of our clients who had trouble ever relaxing told us after the very first minute of her first neurofeedback session that she was starting to feel more relaxed. After 20 minutes she said, “I can’t believe how calm I am.” Over time, she was able to much more easily manage her bi-polar symptoms and calm herself. This woman’s experience is not atypical. The neurofeedback technology allowed her brain to find a more stable point, and with consistent training her brain settled into a steadier, healthier pattern. Dr. Tanju Surmeli, a psychiatrist world-renowned for his research in neurofeedback and psychological disorders, weighs in on the role of neurofeedback for bi-polar symptoms that may be exacerbated by a head injury or trauma. 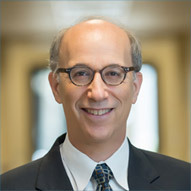 This interview was conducted by Mike Cohen, Director of Center for Brain. Research has shown that neurofeedback training can help those with bi-polar disorder function more easily by decreasing their symptoms as the brain rewires itself in a more healthy, positive and stable way. One researcher, Ed Hamlin, a neuropsychologist at the Pisgah Institute in North Carolina, has seen significant improvement in an ongoing study with over 40 patients diagnosed with bi-polar disorder. Many of these patients had been repeatedly hospitalized, often once a year or more. After undergoing a series of neurofeedback sessions the patients were able to reduce medications, and some patients who had been on medications for 20 years were able to become medication-free. The patients in this study reported increased independence, better ability to control themselves, improved relationships, better performance and functioning at work and school, and a dramatic reduction in hospitalizations. Those patients who remained on medication at reduced levels stated they felt much better and no longer had the “flat” feeling medication can induce. While we have seen many clients diagnosed with bi-polar disorder improve, published scientific research is limited. We’re optimistic that more published research will be added to the field of neurofeedback soon. While medications can, and often do, have a useful role in helping people suffering from the symptoms of bi-polar disorder, there are drawbacks. Not only does the trial and error phase take weeks to determine whether a particular medication works, some people don’t respond or tolerate them well, and there can be unpleasant side effects that can lead to additional medications or discontinued use. The longer medications are used, the more risks involved. Many people develop a tolerance to medications, leading to increased dosages or necessary switches to alternate medications that may or may not have the desired effect and which require a trial and error period. Because the brain becomes reliant on the medications, it never has the chance to learn to cope or to regulate itself. For many people with bi-polar disorder, reducing medication is important due to the unpleasant side effects and the lack of feeling like themselves. At Center for Brain, we work carefully with our clients’ doctors regarding medication reduction. 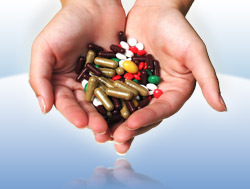 We do not recommend clients reduce or stop their medication without their doctor’s supervision. As an alternative to drugs, neurofeedback increases the brain’s stability, and many doctors are willing to help patients safely taper off their medication as their brain functioning becomes more even. What Happens In Neurofeedback Training? At Center for Brain, we do a detailed initial assessment and recommend the neurofeedback protocols most effective for your particular symptoms. Neurofeedback sessions engage your brain through various types of games to help it learn to become more stable and balanced. Neurofeedback is exercise for the brain, and like any exercise, multiple sessions are required to get solid results. The number of sessions required for major benefit differs from person to person. Helping bi-polar symptoms resolve requires a skilled clinician. The brains of people diagnosed with bi-polar disorder can be sensitive, and it takes time, effort and consistency to achieve stable results. The brain training exercises are constantly fine-tuned, and progress is regularly assessed to the training experience in every session. Once the brain is strong, balanced, and reliably more even, clients can often stop brain training sessions or just come in for an occasional maintenance session. Call us at 561-744-7616 to discuss your situation or to schedule an appointment, or complete the contact form and submit it to us at Center for Brain.